We have a cash solution for your individual, business, charity or trust clients that have at least £50,000 to invest in cash savings. Our solution offers you as much involvement as you and your client require. We interact with you fully and never contact your client directly. You and your client may both be involved with direct contact. Only one of you can operate the online system. You introduce your client to us and we deal directly with them. We are pleased to provide everything you need to offer our Cash Solutions. We can assist with meeting your clients as well as providing marketing material. We provide an app for all clients which enables them to check their balances and view their portfolio breakdown on the move. Both you and your clients receive access to our secure platform. 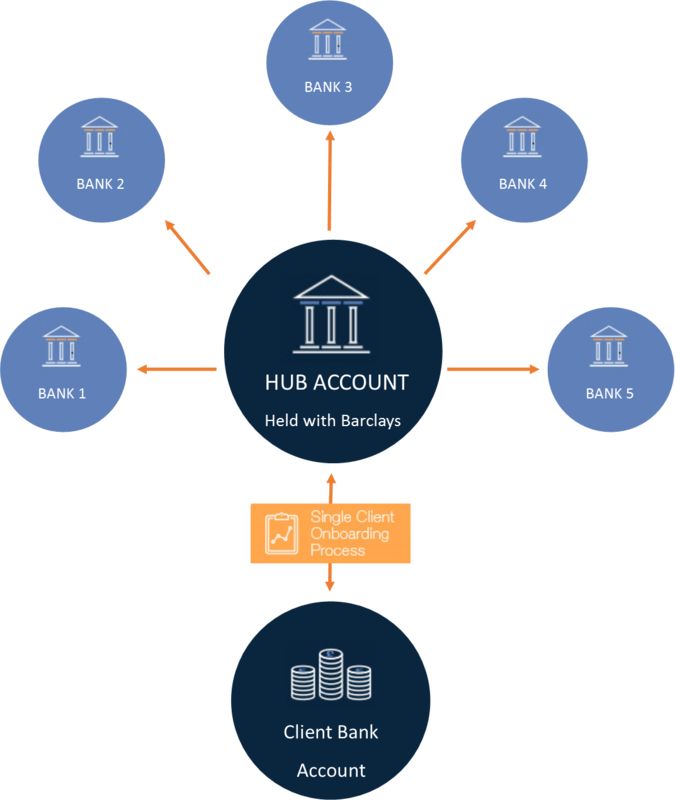 This enables 24/7 access to their portfolio of accounts showing where cash is deposited, together with applicable interest rates and notice periods. You or your clients are also able to instruct further deposits or withdrawals. A full transaction history is provided, as well as formatted downloads of client portfolios. We provide a consolidated statement of interest received on the client’s portfolio for each year. This is available via our secure platform or can be emailed or posted on request. A regular feed of client balances and portfolio breakdown for you to upload into your own system. We can offer a web service which would deliver client balances and portfolio breakdown for you to integrate into your own system. A customised website with your branding. Find further information on the service and how it can help you and your clients here. How do we know you won’t run off with our client’s money? All client cash deposits remain in their beneficial name and we have robust technology-backed procedures, like those used by solicitors when a house is purchased, and relevant Professional Indemnity Insurance. Providing a solution for your clients’ cash gives you far more than a financial reward. It’s great customer service. If you are looking after the client’s cash you know no one else is, and that they won’t have an opportunity to cross sell competing products. The advice you give your clients will be holistic as you will know about their cash. Do you guarantee 100% FSCS protection? For smaller deposits up to £500k, 100% FSCS* protection is a reasonable objective for the client, although they may prefer to prioritise other elements such as interest rate. For larger deposits full FSCS protection may not be practical, but we will always work with the client to determine their priorities and will tailor a solution accordingly. We guarantee to provide competitive interest rates over the long term but in the short term there may be higher rates in the market offered by providers we don’t deal with as their processes are too onerous or their customer service too weak. We receive from Moneyfacts a daily feed of every savings and deposit account available in the UK. In addition, we receive some other accounts direct from our banking partners. We review all this information also considering how easy it is to do business with the institution and their customer service record to select a panel of banks and accounts which we will use for our clients. How do we know you won’t poach our clients? Insignis only offers Cash Solutions and a financial exchange service for clients who wish to swap their portfolio from, or to, a GBP portfolio. We, therefore, have no competing services that we would offer to your clients. For added security as part of the Professional Introducer Agreement there is a strong ‘No compete’ clause. Why wouldn’t the client do this themselves? Our biggest competitor is the client themselves, but clients who approach us have either been actively managing their cash and have found it too time consuming, or have all their savings sitting in a single account earning one uncompetitive rate. We find this particularly true of Corporate and Charity clients. Aren’t we competing for the same cash? You want it for your service, we may want it for a client’s pension? The temporarily wealthy, perhaps they have sold a house or a business or inherited a sum. They use our Cash Solutions whilst planning their longer term financial needs. With so many non-High Street brands offering competitive rates it becomes more difficult for individuals to keep on top of the most competitive rates that make a difference. Won’t this make more work for us for little return? We at Insignis do all the work for you. You provide a certified copy of the passport and driving license for the client (or directors / trustees if a corporate or charity entity) and give us the contact details. We do all the work on your behalf. Alternatively, if you prefer to be more involved in the client’s journey, we are happy to support that too. What kind of access can we expect as the client’s Advisor? Standard access which allows the user to only see their own clients. Super User access which allows the user to see all the clients referred by the firm. Some firms request all users to have Super User access. Your access is activated when your first client makes their first deposit. Via the website you can instantly create a pdf of the client’s portfolio perhaps in advance of a meeting with the client. We also provide a consolidated interest statement for use when completing the client’s tax return. Why are you different from other Cash Management services which we tried and found too much like hard work? Cash Solutions from Insignis has been created by a team of people who are well experienced in the cash management space and have learned many lessons from how the market has evolved. Our one signature solution ensures all correspondence comes via Insignis and our website makes for an easy experience for both clients and wealth managers. If I am interested, what are the next steps? Simply contact us on 01223 200674 and we will arrange for a member of the team to contact you at a time and place convenient to you. We propose to complete all necessary documentation in a single session to minimise the time and hassle to all our clients.